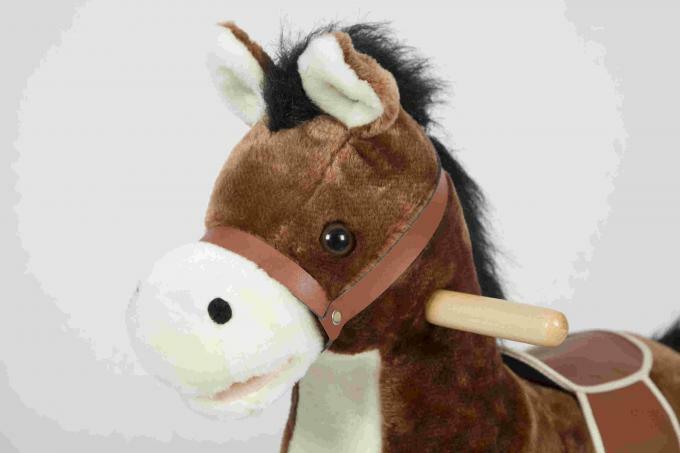 Rocking Horse Pony with Realistic Sounds. 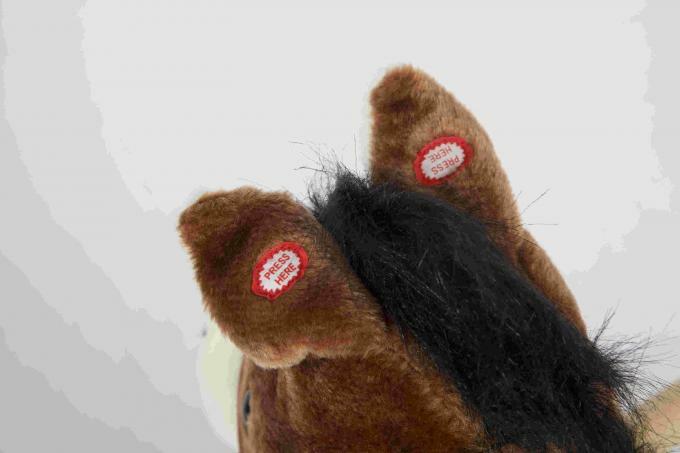 The perfect horse for the burgeoning cowboy or cowgirl in the house! The perfect unity of classic and comfortable! 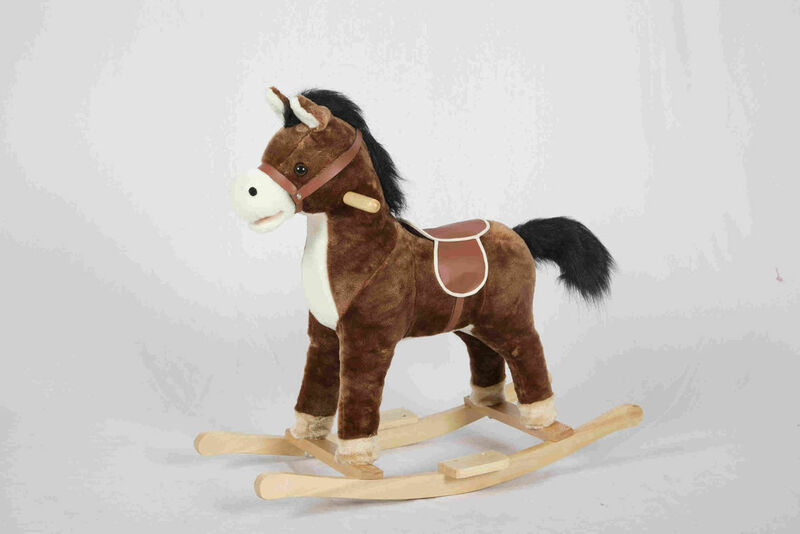 With this colorful rocking horse you can have a unique plush character along with a comfortable saddle position for your child to have fun in. The bottom is lined with two curved rails to give the animal a forward and backward rock. 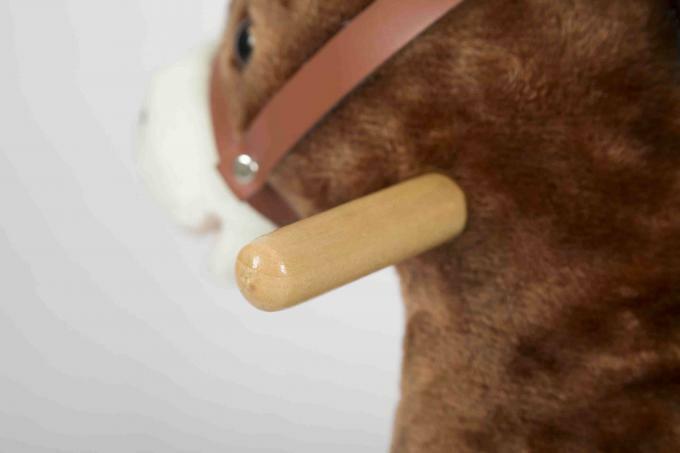 The child can control this with their body movement in the saddle and with the handles provided on the side of the animal’s head. 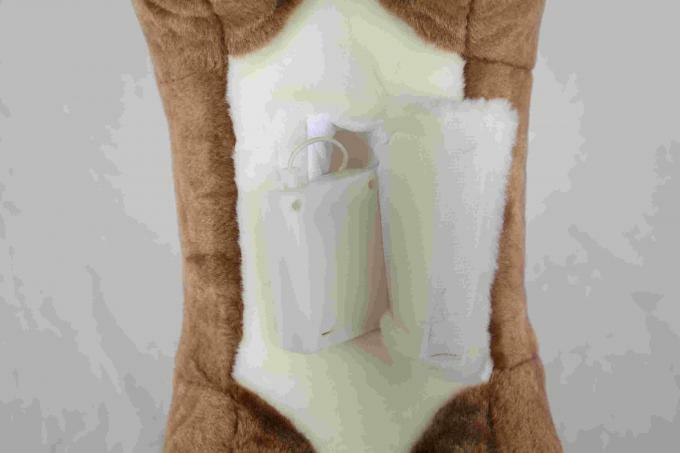 This horse is perfect as a permanent piece of “toy furniture” in a bedroom or play area and is sturdy enough to last for years. What a great way to bridge the generations between you and your child with a toy that you remember from your childhood.